Okay, yes... I have joined the collection concealer bandwagon and I have done for a while. 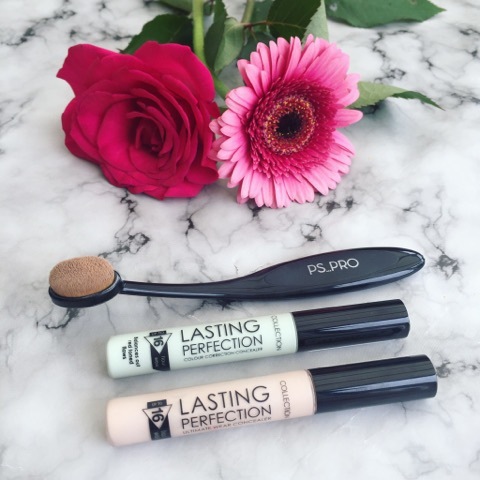 However, before you click off this post let me just tell you that the Collection Lasting Perfection concealer is seriously the best high-street concealer I have ever had. Whenever, I go to my local Superdrug or Boots it's more or less always sold out, especially in my shade (Fair 01). One of the best things about this concealer is it's value for money, retailing at £3.99 in Boots and £4.19 in Superdrug it's amazingly cheap and stays on for ages. The formula is relatively thick and creamy giving it a nice even coverage under eyes and over spots and blemishes, instead of being cakey it feels soft and smooth on your skin. 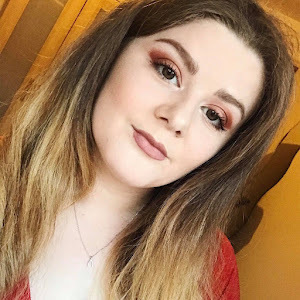 I rarely find myself having to reapply this concealer through the day, I do recommend setting this product with the RCMA no-colour powder if you want a longer-lasting coverage and the full make up look. This will definitely help you stay wrinkle and bag free all day. Most days I don't feel like I need a full face of make up so I'll simply wear this concealer with some neutral face powder to prevent anyone seeing my bare, naked, freckly face. 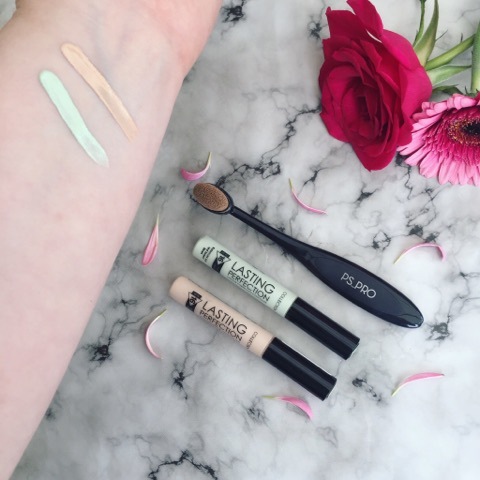 In addition to Collection's concealer line, I bought the green colour correcting concealer too and its fantastic on any spots or red patches that you want to cover. My cheeks often flush and go pink/red, so using the green stops that from showing on my face. All in all I seriously highly recommend these absolute god sends, pick yourself up one and treat yourself! I still cannot get over how great this concealer is, this honestly was my holy grail when I ran into really bad acne problems. And for the price its crazy isn't it! Gorgeous photo's by the way, love the post!